It's here! 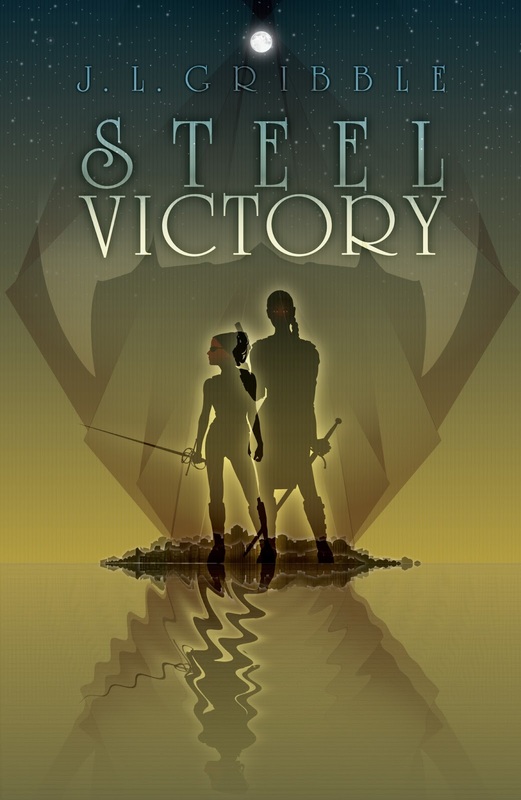 The cover for book 3 in the Webrid Chronicles series! How can a picnic go so wrong? Ganpril Webrid’s grandfather always told him not to use his cart unless he was getting paid for it. But this huge, hairy carter on the planet Bexilla let a friend talk him into carting beers and grub to a picnic with her old college roommate. Worst mistake he ever made. Before he can even burp up his first sandwich, the ol’ roomie stretches out her ten shiny legs, and out pop a hundred spawn. And before Webrid can settle his churning stomach, fifty of those spawn have been kidnapped. Like it or not, Webrid finds himself on another planet-hopping adventure with snarky, brainy pals Zatell and Stravin and a host of wacky aliens. This time, Webrid’s cart is a playpen -- or it will be, if he can only find those blasted spawn. Watch for the release of RED SPAWN DELIVERY in Spring 2017. If you'd like to be notified by email, please sign up here. Ganpril Webrid woke up in midair. “What the…?” He landed with a painful crunch, his wide shoulder wiping out his shelf of commemorative Valestin Hundred-Proof bottles (“Collect all twelve!”). “Oof!” He pulled a shard of broken glass from his matted fur. That’s when he noticed he was naked. “Nice one, Web. Mocking people of faith. Very classy.” Her sigh seemed rooted in her lower guts, in that way Webrid had heard from so many whores in his time. “Seriously, though, what went on here?” he asked again. Drarra pointed across the room. “I went flying off the bed, same as you. Only I’m lighter and stickier, so I grabbed the ceiling. Help me down,” she ordered, pushing a long, flexible limb toward him. “Outside.” Webrid was used to the sounds of downtown Bargival. He loved the wailing sirens and the vendors shouting at the honking commuters. The revving of engines was like a lullaby to him. But this morning sounded different. A whole new level of chaos.The screeching machinery sounded a lot bigger than usual, some of it hovering in the air. And more people were screaming louder. He’d have looked out the window of his tiny apartment had one. “Sounds crazy out there.” He let Drarra drip onto the bed and started searching for his pants. Webrid shook his head and pulled a glass shard from between two calloused toes. No point trying to explain to her that those were commemorative bottles. He’d have to deal with black market types to replace that set. Those Akardian salesmen made him cringe, skins covered in floppy lobes and tongues dripping with sweet lies. Webrid sighed. A quake. Whoever heard of a quake in Bargival? Want more Webrid? 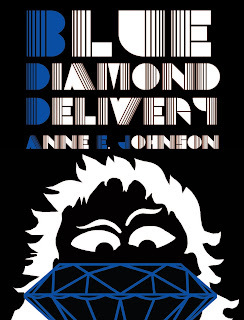 Buy BLUE DIAMOND DELIVERY directly from the publisher, on Amazon, on Barnes & Noble, and at other online retailers. Douglas Adams and Raymond Chandler. Obviously pretending that he hadn’t heard, the fellow closed his window and sucked the cake down whole through a slimy blue mouth. “Bivisher! Braaap!” came the reply, the first word being an expletive, the second a burp. “Fine. I’ll go somewhere else.” Webrid knew when he’d been licked. But he couldn’t just keep rolling along. He needed to get off the street for a while, after several hours of selling cakes to commuters, pushing his cart through the hotafternoon smog. As he thought about how tired he was, Webrid realized that someone was standing next to him. “Yeah? I got cakes today, friend,” was his automatic response. Then he turned his head and focused his eyes. This guy did not want a jamboro cake; he could tell that much for sure. For one thing, this “guy” didn’t appear to be biologically based. Webrid could see the wires at its joints. A great metal head lowered itself on a slender tube of a neck. A brace of digital cameras absorbed the features of Webrid’s face, which made him squirm. “Like what you see, sailor?” he joked, but only to hide his fear. This wasn’t a Vox police robot. Not one like he’d ever seen, and he’d seen them all, what with parking tickets and contraband searches every few days. The Vox, always watching and listening, seemed to be after him constantly for one thing or another. The robot responded with a mechanical buzz and a series of clicks. A door retracted into its central chamber, revealing a speaker. Somebody—somebody biological—spoke. “Ganpril Webrid, Second-State Licensed Carter,” it announced. That voice! Icy snakes of déjà vu scuttled up Webrid’s spine. Clear as the bot hovering before him, he pictured the squalid back alley where he used to play with his cousins when he was a kid. Webrid huffed and shook his head, chasing away the random vision. But the thing was gone. Upward. Out of sight. Webrid felt a headache coming on, and a strange green light pattern was starting to flicker in one eye. The light coalesced into a shape. It was not a very familiar shape, but after a moment of painful concentration, Webrid thought he recognized it. A tree? There weren’t any trees in Bargival, or on the entire planet of Bexilla. Webrid had only seen trees in pictures at school years ago. But now there was one floating in front of him, made of a green cloud. Then its particles dispersed, and there was nothing to see but the comforting grunge of the Bargival streets. Webrid decided he needed a drink. Like Webrid so far? 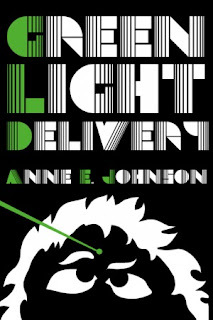 You can buy Green Light Delivery directly from the publisher, on Amazon, on Barnes & Noble, and at other online retailers. On Thursday, August 11, I'll be joining the brilliant women of Broad Universe to talk about my YA novel, Space Surfers. My slot is 2:30 pm Eastern, but you'll want to hang around all day to see all the exciting spec fic writers. There will be giveaways, contests, and generally good conversation about all things science fiction and fantasy. Here's the event link. Please join us! Dreaming Robot Press is about to launch the Kickstarter for its third annual Young Explorer's Adventure Guide. On Tuesday, August 16, I'll be joining a host of other current and past contributors to that terrific anthology series to talk about writing speculative fiction for kids and teens. I'm scheduled for 12:30 Eastern. You won't believe the lineup of talent before and after me, so stick around. Here's the event link. Look forward to seeing you there! 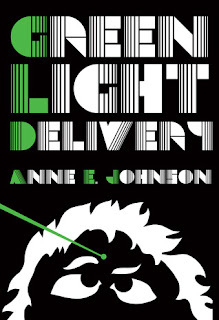 You helped everyone's favorite snarky carter figure out where that laser in his forehead came from in GREEN LIGHT DELIVERY. You watched Webrid and friends keep their solar system from cracking apart in BLUE DIAMOND DELIVERY. 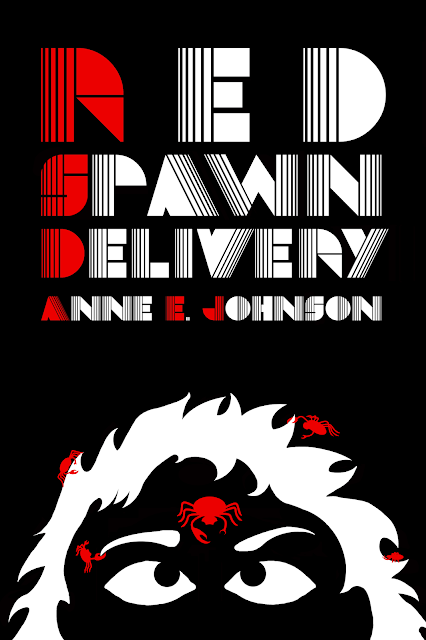 And now I am thrilled to report that Candlemark & Gleam Publishing has officially announced the acquisition of RED SPAWN DELIVERY. Poor Webrid, who just wants to sit around guzzling booze, has to hop from planet to planet, chasing down fifty kidnapped alien spider babies. This was not what he had planned for the week. And if you have not yet been introduced to Webrid or the other madcap characters in the Raralt Planetary Circle, I promised you'll be tickled. These novels have been described as a cross between Douglas Adams and Raymond Chandler, so you know you won't be bored! See the official announcement on the Candlemark & Gleam blog. The novel is scheduled for release in early 2017. Hello! I'm thrilled to share launch day with you. Franni and the Duke is here! 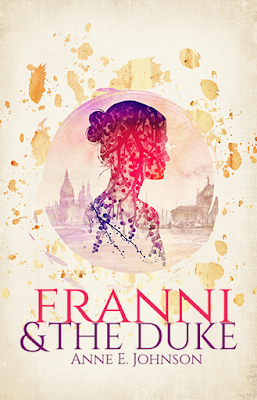 This is a historical mystery novel about a 12-year-old girl in the court of Vincenzo Gonzaga, Duke of Mantua. It takes place in 1608, while famed composer Claudio Monteverdi is rehearsing his new opera, Arianna. 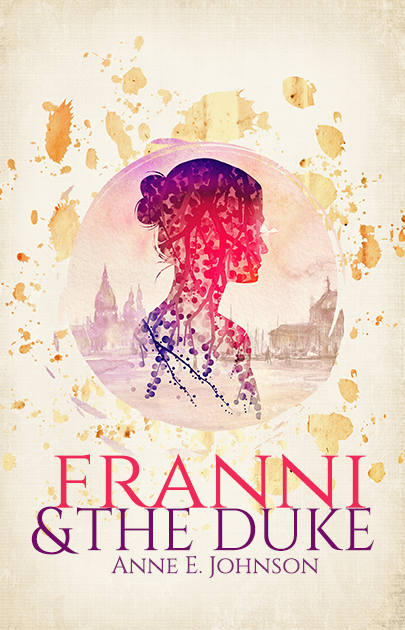 Buy Franni and the Duke on Amazon, Barnes&Noble, or directly from the publisher, Sunbury Press. 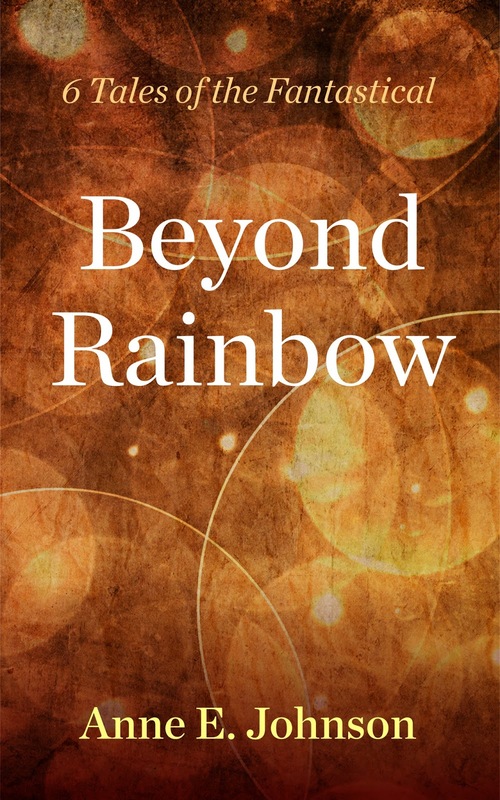 I'm delighted to present Beyond Rainbow: 6 Tales of the Fantastical, my latest e-book collection for adults. 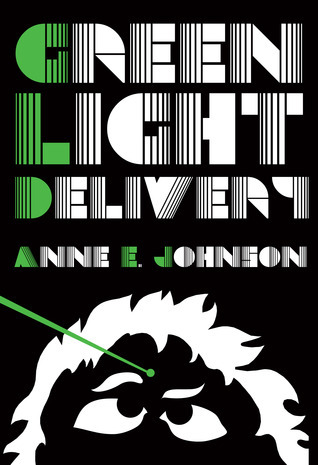 From neo-folklore to urban fantasy, from ancient villages to modern suburbs, award-winning author Anne E. Johnson explores a wide range of fantastical fiction in this collection. These six little stories will by turns disturb, challenge, and mesmerize you. and elsewhere, for the crazy-low price of 99 cents. Enjoy. And please remember to leave a review. #Fantasy Cover reveal: BEYOND RAINBOW 6 Stories of the Fantastical July 1 release! It's time! 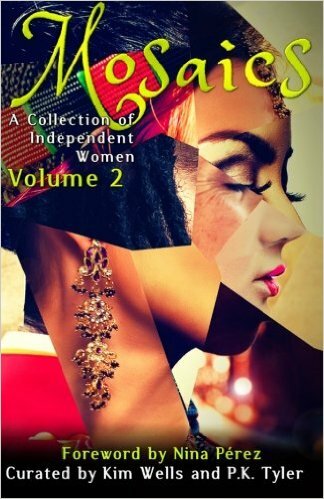 Volume 2 of the Mosaics anthology series is out. 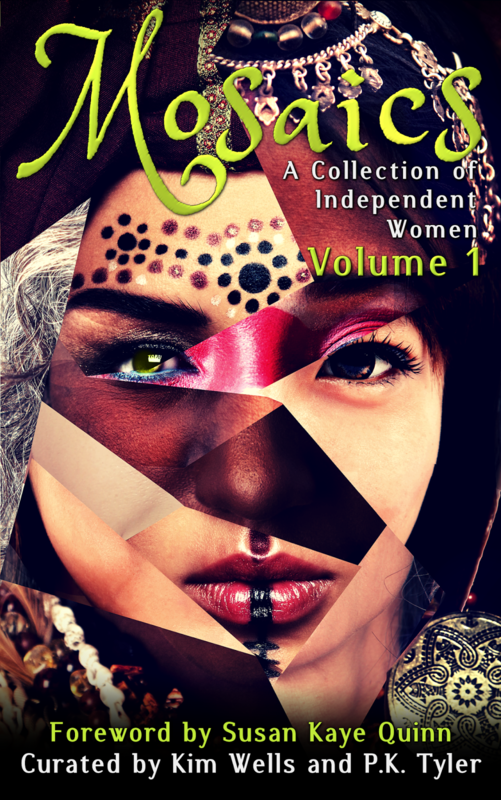 Stories and poems by and about strong women. You can buy this wonderful collection here. 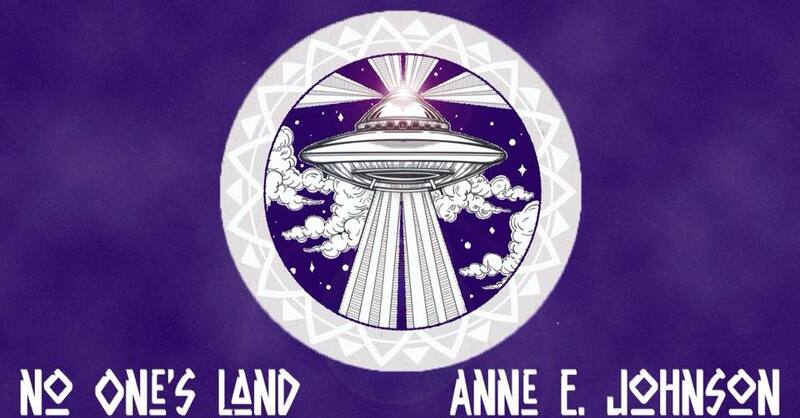 One of the editors, Kim Wells, made this gorgeous promo card for my story, "No One's Land." Oh, and you're welcome to stop by the Facebook party tonight (May 1) from 5:00pm to 7:00pm Central time. 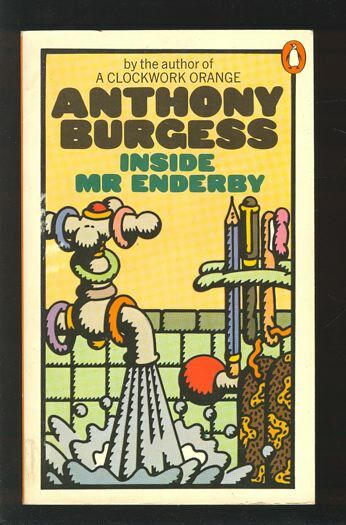 But most important, please pop over to Amazon and buy this wonderful book. Planet of the Eggs #Comicbook Series Publishes a New Issue! Coolness alert! My guests today are the writer and illustrator team who create Planet of the Eggs, a dinosaur-themed comic book series. Peggy Bechko and Charlene Sorensen stopped by to discuss their process. 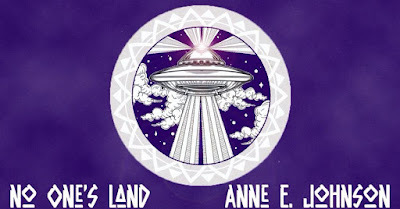 Peggy Bechko, frequently published author (genres including Romance, SciFi and Western) and optioned screenwriter teamed up with long time friend and former health insurance industry denizen, Charlene Sorensen to bring the world a new world...Eggland. Friends for many years, Peggy was ready to embark on a whole new venture - comics! And Charlene was ready to stretch her creative wings. Together they created the new Planet Of The Eggs Comic Book series. The first in this 'eggciting' adventure across time, space and who-knows-what, Cracked Open, introduced the Six Eggs of Legend and was followed by the second Grimoire: Book of spells, the third, Mummified Egg and the fourth Eruption (the first of a two part adventure). There are many adventures yet left to tell. The writing/illustrating team, living in the foothills of the high mountains just five minutes apart, is geared up, creating the second in the two part adventure Eruption and Saving Dot. and have reached a point where one can read the other's mind. Even artistic disagreements are arrived at simultaneously. They spend two to three days a week together, creating jointly and time apart creating illustrations, working on their newsletter and pondering what might come next for the well-armed eggs. For Peggy, an author who’d always created alone previously, what happens when things change? When the career takes yet another turn (most careers have many of those turns) and life hands this writer a new direction and simultaneously a writing partner? With a great writing partner, things pop and sizzle as never before. We end each other’s sentences and marvel at one another’s ideas. Effortless. Satisfying. Fun! It gives us chills! And I guess one would call what we do, creating more than simply writing. We created our own project, a new comic series called Planet Of The Eggs. We learned new software, created story lines, wrote scripts, designed characters from scratch and pulled the whole thing together in an ‘indy’ published comic es, not to mention creating designs for our Café Press Planet Of The Eggs Shop. It was a learning curve the size of Mt. Everest, but it was a great climb. We work side-by-side two days a week and separately the rest of the time sending ideas, created comic characters and other bits and pieces back and forth via email. We’ve learned much about getting our work out there for people to enjoy. It’s a wonder we actually sleep. Actually it’s not clear that Charlene does. 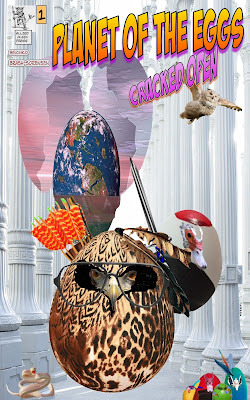 Peggy and Charlene envision a long life for the Six Eggs of Legend as they move between the worlds, superpowers evolving, and fight the forces of evil to save Eggland. And a long and happy partnership in the creation. Learn more about Peggy, Charlene, and Planet of the Eggs on the official website or subscribe to their newsletter. Purchase Planet of the Eggs: CRACKED OPEN on Amazon. 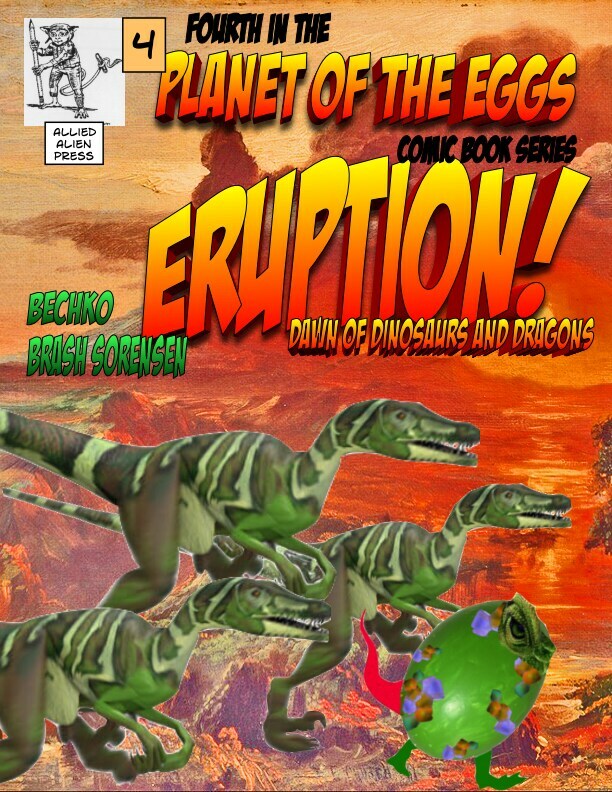 Purchase Planet of the Eggs: ERUPTION on Amazon. I know Terri Bruce as a fellow member of Broad Universe, a society that supports women authors of speculative fiction. As a comrade in literary arms, I was delighted to host Terri's blog tour for her new novel, Whereafter. And be sure to scroll down to the giveaway! I’m so thrilled to be here today, celebrating the release of my third novel, Whereafter (Afterlife #3). This is the third book in my Afterlife series, which tells the story of a woman named Irene Dunphy who dies and must learn to navigate the afterlife as a ghost. I love mythology and the origins of myths, and one day while driving to work, I started thinking about afterlife mythology. I wondered why there were so many different and disparate descriptions of the afterlife if they were all describing the same thing. I mean, realistically, if there is an afterlife, we’re probably all going to the same place. So why is it described so differently by different cultures? I started thinking maybe it was like “The Blind Men and the Elephant”—that is, that all the stories were only describing a part of it. So I tried to imagine what the afterlife would like if all the afterlife stories were true. How would all these very different and sometimes competing places exist together? When I read one myth that said the dead travel to the afterlife via a tunnel of light but another that said it was via a bridge, I tried to imagine a way in which that was possible. Well… maybe different people saw different things—maybe it’s all based on perception. Maybe they weren’t all crossing at the same place. After all, having lived on the North Shore of Massachusetts for many years, I can tell you that sometimes I traveled to work in Boston via a bridge (the Tobin Bridge) and sometimes by tunnel (the Sumner and Callahan Tunnels). It depended on which road/route I was traveling. It was also dependent on my mode of transportation—when I drove, I took the bridge and when I took the bus/public transportation, we went through the tunnel. So maybe that’s how it is for the dead. When it came to reconciling the many different descriptions of the physical landscape—especially the more strange/outlandish elements—I realized that this could be explained as being different places within the same world and also through the idea of higher planes of consciousness. This is where I borrowed heavily from the Buddhist state of Bardo—an intermediate stage between the physical realm and enlightenment where the person wrestles with demons and visions that are a manifestation of the person’s subconscious. As the person learns and becomes wiser/more enlightened, he/she is able to see through the outward appearance of the demons to their true meaning. If we thought of the afterlife as a place where people gain enlightenment, then things might appear confusing or unexplainable at first. But as the person gains more knowledge and insight—and ascends to a higher and higher planes of being—then they can see more clearly. So, for instance, in the second book of the series, Irene meets a cat that seems to be leading her through the afterlife. To her, it looks like a cat, even though she’s pretty sure it’s not an ordinary cat. Because she isn’t enlightened enough/ascended to a high enough level, she can’t see its true form. While I was trying to find a way to make all of the various descriptions of the physical landscape work together, I also wanted to write a world that was believable. I didn’t want it to be fantastical fantasy; I wanted the mechanics—the physical rules of it—to be realistic, or, at least, plausible. So I set out to also create realistic explanations for various beliefs and folklore elements. If there really is an afterlife, why do people travel to it through a tunnel of light? Why is it far away and not right here? And why a tunnel of light? What is the function of the light in helping move spirits from the physical realm to the afterlife? Or how about, why do some ghosts see a tunnel, some seem to instantly be transported to the other side, and some get stuck here and can’t cross over? What is the mechanics of that and why it happens? Another example: how is it that ghosts can walk through walls and yet also move objects? To walk through walls they’d have to have no mass and/or be pure energy. But if they move objects, they have to have mass, right? So how can they both? At times, I began to feel like a physicist trying to describe quantum mechanics (and honestly, after reading all the various mythology, I’m starting to think it could all be plausible at a quantum level!). Part of why I’ve loved writing this series is the world-building challenge. Because I created these self-imposed rules (use ALL of the stories and myths and make it all plausible) that I had to adhere to, it really forced me to stretch and grow as a writer. It turns out, coming up with realistic explanations for fantastical things requires MORE creativity than just coming up with the fantastical things themselves. I always thought all of the imagination and fun was in imagining new things, but then getting those things to adhere to a set of rules requires a lot of ingenuity as well. And it’s helped me to develop discipline as well. I could have given up on making the world-building adhere to a strict set of rules (it certainly would have been easier) but I don’t think the books would have been as good. 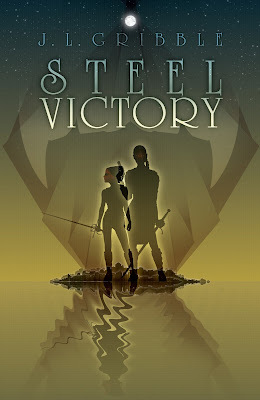 Many readers of the series like how the books feel like they could be real/how the world-building is believable. So, developing that discipline has been a good thing for both me and my readers. For anyone that loves afterlife mythology or wants to learn more about the Afterlife series, during the month of April I will be participating in the “A to Z Blogging Challenge,” and every day, I will be posting a video blog (at http://www.terribruce.net) in which I reveal all of the hidden references to afterlife mythology and “Easter Eggs” in the series. I encourage everyone to stop by each day and check out the videos! You can also sign up for my newsletter to stay up to date with all my latest news. In addition, I love interacting with readers, so please feel free to email me or connect with me on Twitter! 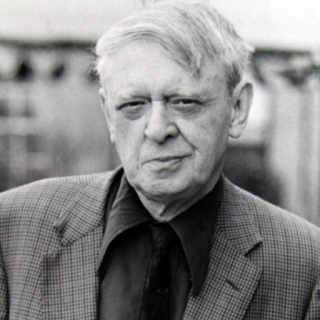 Andras grunted, the sound filled with suspicion. Irene bent down to tie her shoelace, as much to avoid eye contact as anything. When she straightened up, something in the distance caught her eye, shimmering like a mirage. She squinted, not sure she was really seeing what she thought she saw. “You know, now might be a good time for you to tell me what it was like to live in a castle,” she said. Irene was on the verge of agreeing that the castle did not in any way look how she imagined Heaven when it shimmered, as if the fading sunlight had been redirected by mirrors. Light rippled across the castle’s surface and the dull, dark, burnt-blood color transformed into gleaming, bright, silver-white. Crisp white pennants flapped from the corners as if whipped by wind. Irene thought she could hear them snapping crisply. Irene looked at Andras, and he looked at her. His expression made it clear that he had seen the same transformation she had. It was as if the building was trying to trick them into coming closer. Learn more about Terri Bruce on her website and Goodreads. Purchase Whereafter at Amazon and other retailers. 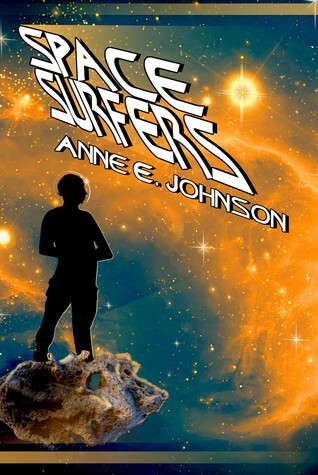 Enter the SPACE SURFERS #YAlit #scifi adventure novel giveaway on Goodreads! 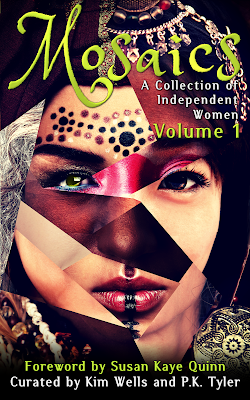 Giveaway ends April 26, 2016.
matter what, but I'm delighted to say that I will have a story in volume 2. Let's give volume 1 a hearty launch! All the excitement, all the anticipation, and now it's finally here. And don't forget to enter the mega giveaway, including a Kindle Fire, a $50 gift card, and a paperback library, at the end of this post! Click here for the Rafflecopter giveaway! This blog has featured writers from all over the world, but today I'm keeping it local. 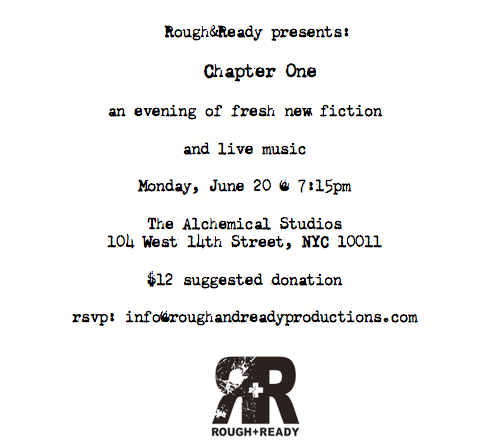 Becky Fullan is a friend and fellow writer who volunteers at Word Up, a wonderful bookstore in NYC. She's also the author of their newest publication, a picture book called Home at Word Up. Heights. It was only intended to exist for a month, as a pop-up bookstore and community arts space in an abandoned storefront. The first event I attended at Word Up, which at the time was hosting multiple events each day, featured a group of teenagers presenting passionate, funny, deeply engaging monologues and dialogues about their experiences living in Washington Heights. It was clear to me very quickly that Word Up was a space that was radically local, practically communal and horizontal in its organization, and rooted in books, words, and the arts. The only thing I hated about it was that it was supposed to go away so soon. It turned out a lot of other people felt the same way, and so we worked to stay, month after month, for a whole year. Then, when we lost our original space, we continued to meet weekly and launched an Indiegogo campaign to raise funds to open a new, more permanent home. 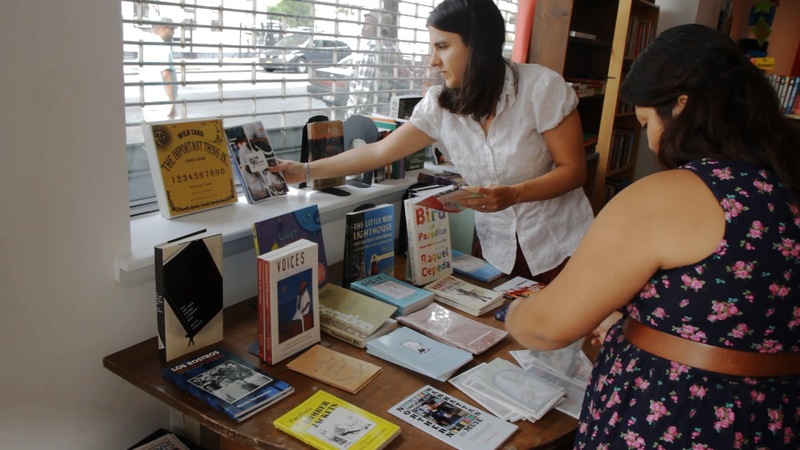 In 2013, we reopened in our current location at 2113 Amsterdam, and we have been selling books, offering manifold events, promoting the work of local authors and artists, and otherwise building and contributing to our neighborhood’s communities ever since. As part of our Indiegogo campaign, we promised to create a picture book telling a story of this unique space. Every piece of the project was dreamed and created by Word Up volunteers. I came into the process after Mary Ann Wincorkowski had created a basic structure and plan for the story, about a little girl who comes to Word Up and discovers the community and possibilities there. 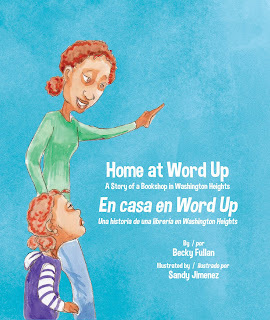 I had an incredibly fun job, which was to find the story in this plan, develop the particular characters of this little girl and her aunt, who cared for her, and shape their quest to find a home and a sense of connection in Washington Heights. This was a joy, particularly in attending deeply to the question of what makes a home, and trying to express that as beautifully and succinctly as possible. Sandy Jimenez did the art for the book, and seeing his art interpret and delightfully expand the concepts in my writing has been an incredibly rewarding part of this process. My favorite piece of art in the book is the very last page, because of the way that it subtly continues the story and artistically enacts our desire to turn this pop-up shop into something that lasts forever. The editing, design, and publishing was also expertly orchestrated by Mary Ann Wincorkowski and Veronica Liu, while a team of translators, Daniella Gitlin, Lucy Gitlin, and Mariel Escalante, rendered my prose into gorgeous Spanish. I tend to write with a lot of poetic, figurative language, even (or perhaps especially) in this concise format, and being able to read this skillful translation, done with loving attention to my words and my meanings, has been an extraordinary pleasure. Working with both a visual artist and the team of translators added layers of artistic collaboration to a process that was fundamentally rooted in collaboration and community expression. We’ll be having a launch party this Saturday, Feb. 5th, at 2 PM, featuring music by Gio Andollo, a reading of the book, and a discussion of its creation. Here's the event page on Facebook. If you are a long-standing friend of Word Up, or if you have never heard of us or been able to visit before, I would be delighted to welcome you to my home at Word Up. You can follow Word Up on Twitter and Facebook. Learn more about Becky Fullan on her blog.